How much is your vote really worth? University of Ottawa assistant professor and election law researcher Michael Pal explains why he believes the value of a votes are inequitably distributed in Canada, hitting visible minorities the hardest. A founding principle of the Canadian Constitution is Representation by Population, which holds that every citizen's vote should have equal weight. But how much is your vote really worth? To discuss this, we spoke with Michael Pal, an assistant professor in the Faculty of Common Law at the University of Ottawa. He specializes in democracy, election, and constitutional law. Brent Bambury: Michael, Canada's representative democracy is one person, one vote. 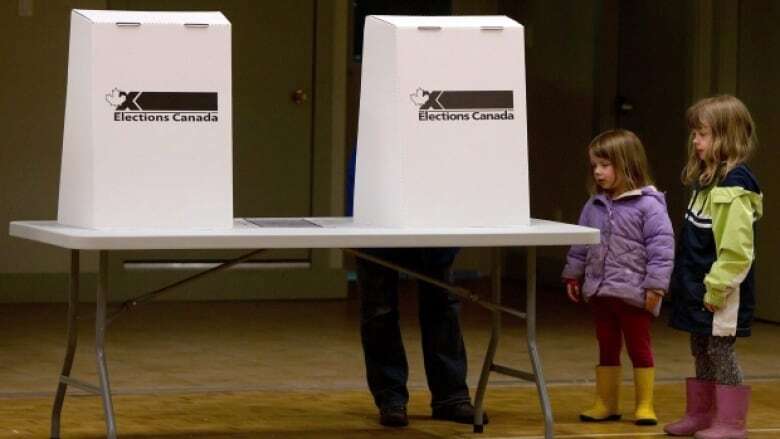 But are all votes in Canada worth the same? Michael Pal: Turns out they're not, unfortunately. Some other countries around the world, such as the United States, really adhere very strictly to one person, one vote. Canada does not, and what that means is the rural votes tend to be worth quite a significant amount more than urban votes. So if you're an urban voter, your vote and your interests are potentially diluted. BB: So are you talking about all urban areas? Can you say if you're an urbanite in Canada your vote is worth less? MP: You can. The main problem exists for the largest cities, such as Toronto, Montreal, Vancouver, Calgary and Edmonton. So for example, Halifax is underrepresented compared to the rural areas of Nova Scotia, and Moncton is underrepresented compared to the rural areas of New Brunswick. So there is an issue there. But the the most significant one is for the largest cities, because that's really where all population growth in Canada happens. BB: To make this clear, you've assigned numerical value to voters depending on where they are in Canada. So if a vote in Labrador is worth more than a vote in Vancouver, can you give me the numerical value of the vote in both of those places? MP: So your vote in Labrador is probably worth three and a half times more than a vote in Vancouver. So it's as if we said everybody in Labrador gets three and a half ballots, and everybody in Vancouver gets one. BB: So in all of this then, who do you think is the least powerful voter in Canada? Paint me a picture of him or her. MP: The least powerful voter in Canada is probably a recent immigrant from Pakistan, Bangladesh, India or China, who lives in Brampton, Markham or Mississauga - places where population is growing very quickly. So that tends to be the suburbs around the biggest cities. So it's not necessarily downtown Toronto, but it's the 905 area code (GTA). BB: Why within Brampton does the immigrant have a less powerful vote than someone who has lived in Brampton for a long time? MP: Everybody in Brampton is underrepresented, so that's the answer. But immigration is what drives population growth, and they're all settling in the larger cities. So those ridings are most likely to be the worst off. BB: What are the consequences of their ballot being less valuable? MP: So really the only time we can force politicians to pay attention to us as voters is during election time. They know they can lose your vote if they don't respond to you, so really what this is doing is giving politicians and candidates less reason to pay attention to the things that visible minorities need. There's lots of data showing it's harder for recent immigrants to find jobs than it was 20-30 years ago, and it takes a lot longer for their incomes to get up to the Canadian average. Those are big long term problems, and they are facilitated by the fact that elected representatives don't have to pay as much attention as they should to their real constituents. BB: So let's talk about redistribution, because 30 new ridings have been added for this election, and half of them are in Ontario where all of this growth is taking place. But there are new ridings in Quebec, Alberta and BC. Why isn't this fixing it if? MP: It fixed half the problem. Adding the new ridings meant we don't have this issue anymore where Alberta, Ontario and BC as a whole were underrepresented. Everybody in those provinces was underrepresented, and that's a big problem because that's where most of the population lives now. So adding the seats to those provinces helped get around that problem, but it didn't change the fact that the boundary commissions that design the ridings in each province are still designing urban areas with much larger populations than there are in rural ridings. So for example, the recent Ontario Commission dramatically underrepresented some suburban ridings because they didn't see that as a problem, and they weren't as invested in the principle that I think is a constitutional one of representation by population. BB: Why not simply divide everything up in equal population pieces? Why wouldn't we do that? MP: Because it would involve taking away ridings from Northern Ontario for example. So instead of them having 11 or 10 ridings as they now have, they might end up with seven or six ridings. That causes a political backlash. In addition, the groups we're talking about (visible minorities and urban voters) aren't really organized politically as groups to advocate for their interests. Part of it is inertia, it's just the way this has always happened, and it's this kind of Canadian sensibility about what the country looks like. We see Canada as a country of farmers and people earning their income from things in the woods, but that's not who we are anymore. We are an urban country. BB: But that's a powerful idea. It feels wrong to me that somewhere like Nunavut or even Prince Edward Island would have their representation brought down simply because they have a low population, when they have specific interests and specific land mass. MP: And that's fair. I mean, Labrador is separated from the rest of Newfoundland by water, so it doesn't make sense to join Labrador to the people of Newfoundland so the riding can have the right population. So truly remote, truly northern ridings that are larger than the size of some European countries like we have in Northern Ontario, it makes sense that they can have lower populations. But by my count, that is about 10 ridings in the whole country. Instead, the boundary commissions that make these decisions use the leeway that's given to them to deviate from representation by population. They're using it in ways they shouldn't. So why should one area of Toronto have dramatically less population than another area of Toronto? BB: What's the answer to that question? Why do you think they are doing it then? MP: I think they really emphasize community. They say people in Kitchener or Kingston are part of the same municipality, so let's keep them altogether rather than perhaps adding in areas from the outside that would help us get to representation by population. I also think they are just not as committed to representation by population as the law tells them they should be. BB: If I lived in a riding where it's a very tight vote, and my vote will matter a great deal in the outcome of that vote, I wouldn't care what's happening in Labrador. Maybe it's going to be a landslide there, and the person voting in Labrador, their vote won't matter much at all. MP: That's true. I guess the way to look at is there might be two ridings that are just as close, where the voters have a similar kind of interest. So instead of one large riding where people care about urban transit, there might be two, which means there are two winning candidates that will have that as an issue they want to pay attention to. BB: Michael, we're in an election. Could the unequal distribution of the value of a vote that you just explained to us be exploited by the parties in this election? MP: Oh, absolutely. They gear their policies and electoral strategy to try to appeal to the voters who are going to win them the election. Not every riding matters as much to them, and not every voter matters as much to them. So absolutely this is an issue. For example, one of the things that's come up is subsidies and supply management in the dairy industry. That's a politically explosive topic in about forty-something ridings in Eastern Ontario and Western Quebec where there are a lot of dairy farms. Also, those are areas that have tended to be over represented. So that's one issue that might matter less to parties if we had true representation by population. BB: And what issues are being underrepresented for all the urban voters that you describe that have a value of their vote as somewhat less than one? MP: Well, things that will help people move around the cities. Urban transportation, social housing, and urban poverty are the kinds of issues that don't get as much attention as they would otherwise. Not that they get no attention, but they don't get as much as they would otherwise. BB: Do you think it will get fixed for the next election? MP: We won't have another change until 2021-2022 when the new census comes out. I hope whatever the next government is, whatever political stripe they are, they'll be inclined to change the Electoral Boundaries Readjustment Act to oblige other commissions to stick to representation by population. BB: Michael Pal - thank you for being with us. MP: Thanks for having me.